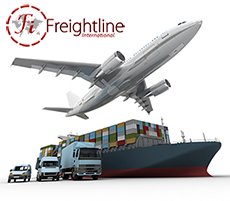 Freightline International’s long standing excellent reputation as international freight forwarders has been earned from our dedication and commitment to customer service. Personal attention is paramount to us – you will not get passed around the offices with Freightline – knowledgeable and experienced personnel have a thorough understanding of our industry and of your requirements. As international freight forwarders we handle all modes of export and import from collection to delivery, case packing to customs clearance and letters of credit to transit insurance. The Freightline network is truly worldwide, extensive cross trade services enable us to move your goods from your overseas suppliers to your overseas customer – no need for the delay and expensive of shipping via UK – from USA to Africa, Europe to Far East, India to Australia – all handled with expertise you would expect from international freight forwarders. We welcome your enquiries so please give us a call, email us or complete the user friendly online enquiry form – we will answer directly. Sea freight – frequent regular sailings for both import and export of full container, high cube container, part container, specialised equipment and break bulk cargo. 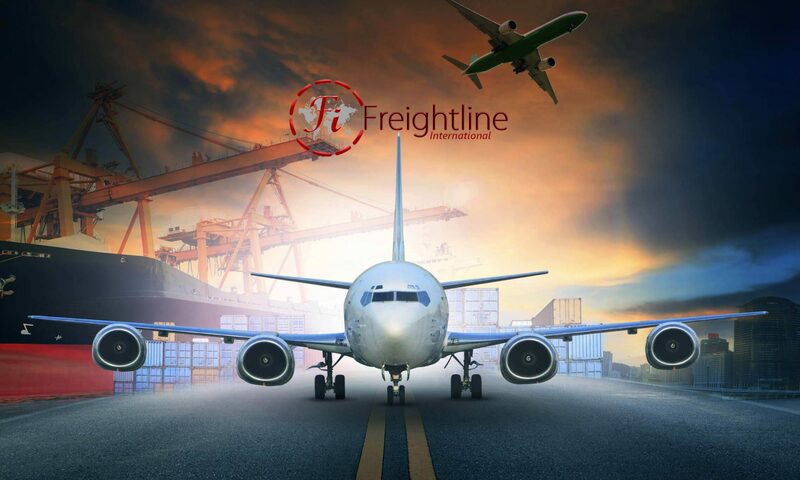 Air freight – Freightline offer direct flights for time sensitive cargo as well as economical consolidation services for less urgent goods. Express Courier – Daily worldwide door to door courier services for your urgent packages – competitive pricing with comprehensive tracking. Marine Insurance – comprehensive all risks open cover policy. Export Packing & Warehousing – full ISPM15 compliant case packing, IMDG Dangerous Goods and IATA approved. Letter of Credit Documentation – for many of our customers we produce all documentation required by the Letter of Credit to ensure successful and timely payment for your goods. from Commercial Invoice to Bank Drafts and Legalisation through to bank presentation – we have the expertise and experience to assist. Customs Clearance – not just import and export documentation – We also handle Inward Processing Relief, transit documentation and much more.